Deciding to elope is an extremely intimate decision. Some couples come to us to plan their adventurous elopement in Iceland with their family’s knowing and embracing their choice. Others like Marlene and Alan, intend to surprise their friends and family by sharing their amazing Iceland wedding photos after! This lively duo was planning a trip to Ireland to discover family roots when they got the brilliant idea of having an elopement in Iceland during their trip to Europe. Together Marlene and Alan love the outdoors, water, nature, offbeat travel, and unique experiences. 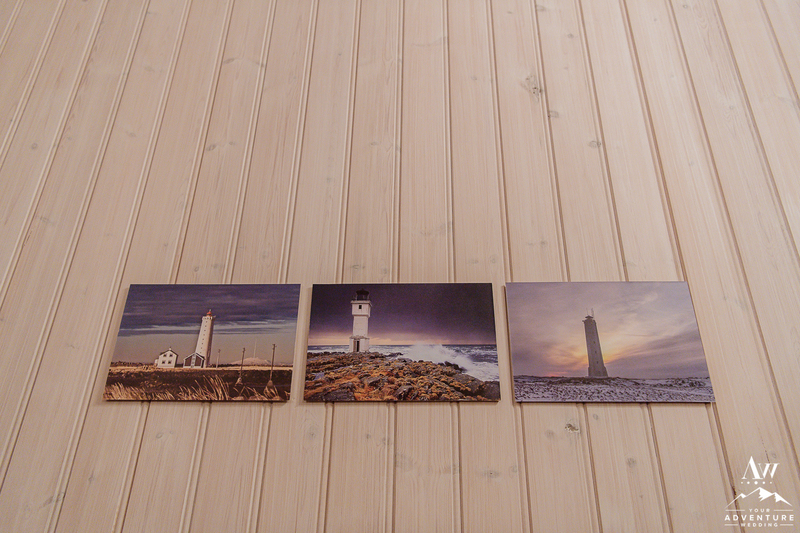 Immediately I thought of the perfect location for them to stay during their time here in Iceland… Inside of the Dyrholaey Lighthouse. Did you know you can rent the entire lighthouse exclusively? 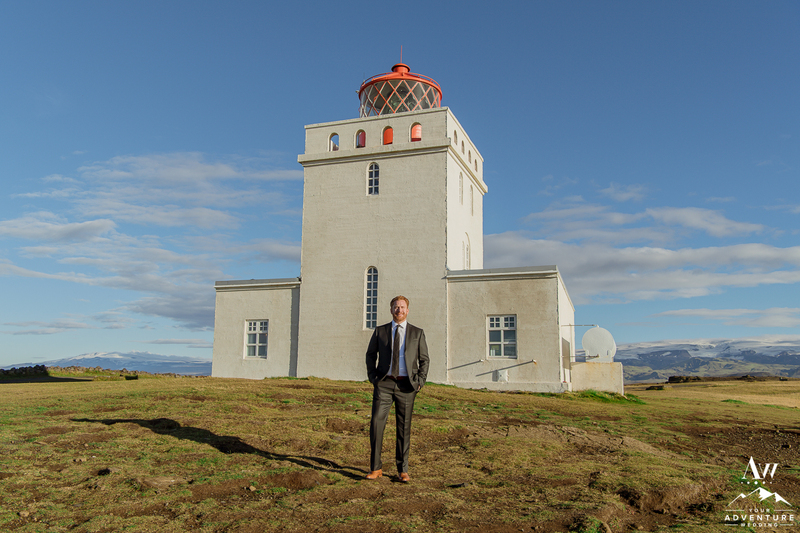 You can and it’s the ultimate Iceland elopement experience! Tag along with me today to experience their incredible Iceland wedding day hunting secret waterfalls! As the sun rose at the start of their Iceland wedding adventure the excitement grew! 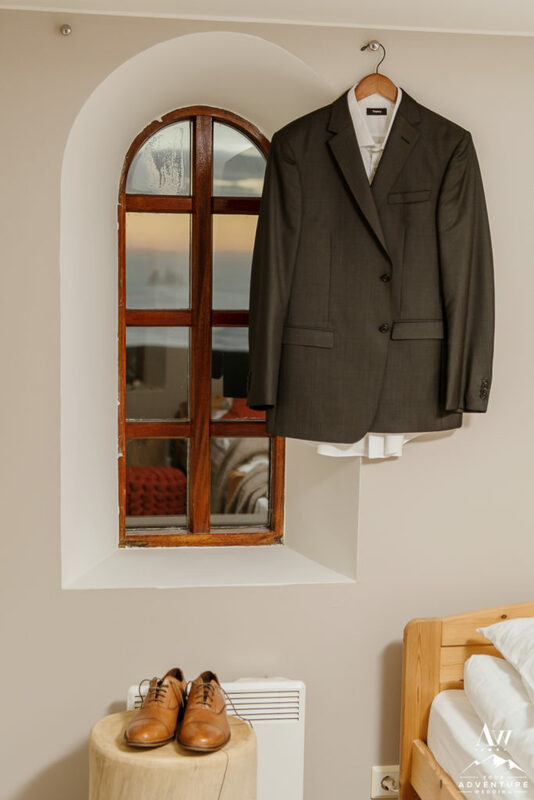 The sunrise was magical from the top of the lighthouse as Marlene and Alan got ready together. Staying within tradition, they did not want to fully see each other until the adventure wedding was going to begin so what better way to kick it off then with a first look in front of the lighthouse! One of my favorite things about these two was the fact they had little surprises for each other throughout the day. 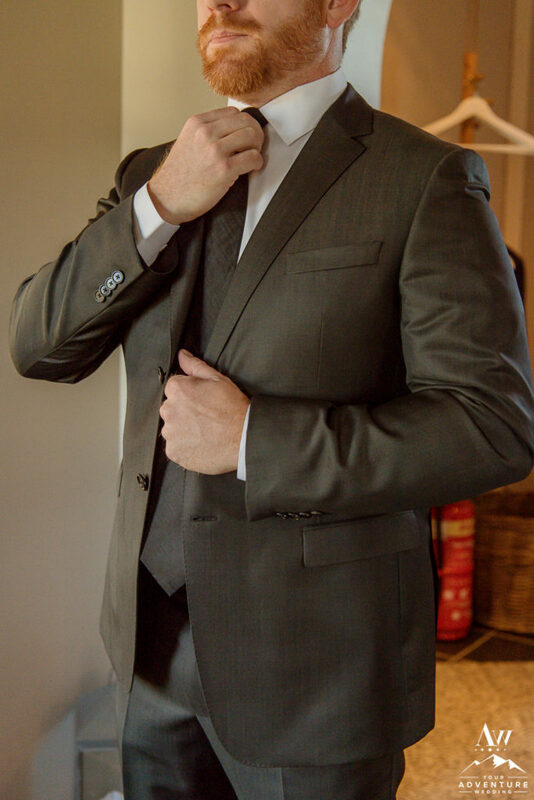 The first from Alan was the Iceland wedding ceremony setup. He thoughtfully crafted little notes for Marlene to read to put on the ceremony rug. We took it one step further by turning the notes into an awesome aisle way and little rocks on top (to be wind proof)! Since the theme of the day was secret waterfall hunting, we continued onto more Iceland wedding day adventures! And to one of my favorite badass waterfalls! You’ll find the landscape can change rather quickly here and it’s exciting to create unique Iceland wedding photos! During the months of mid June to late September you will see a green here in Iceland that exists nowhere else in the world. It’s vibrant, refreshing, and inspiring! …and when the light hits it, it often changes! 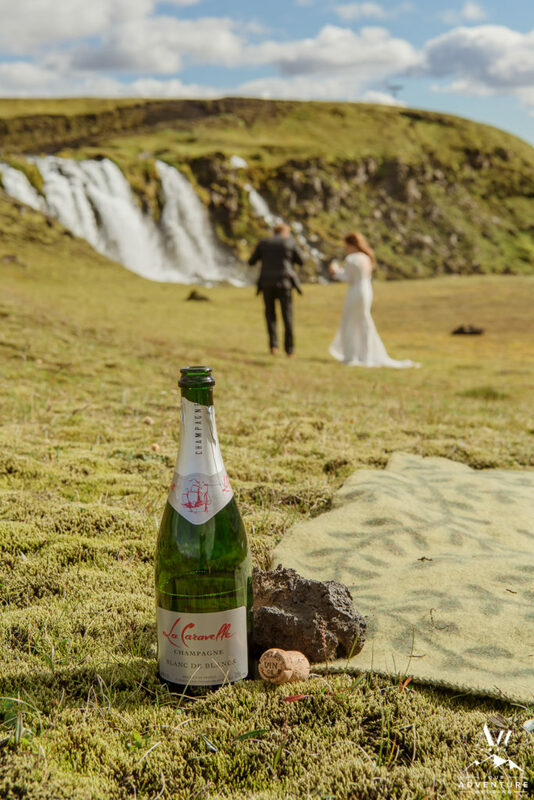 So when you see it during your adventure wedding day, you must make your Iceland wedding photographer STOP! 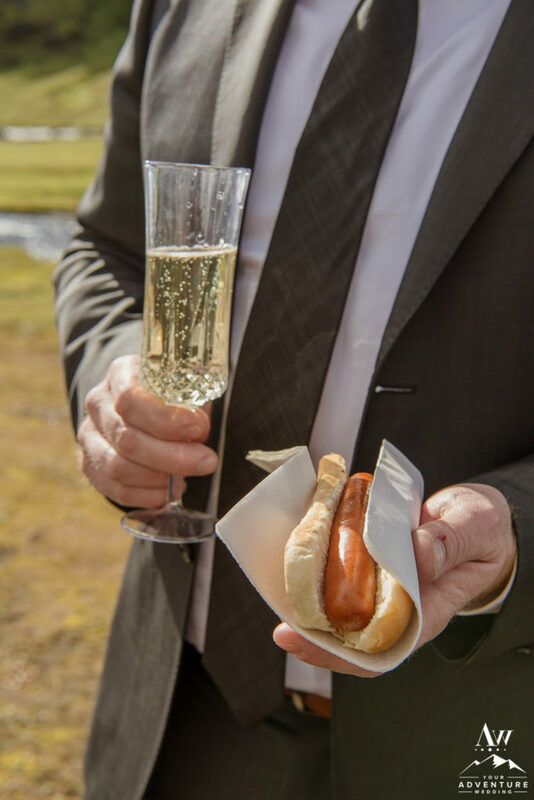 An action packed Iceland adventure wedding with us still has time for lunch and these two opted in for a delicious bbq of Icelandic hot dogs! Mmmmm! It just so happened to come with a lovely view too! It was super hard for me to leave these spot… But alas, I had to because we had 2 more adventure wedding stops! At this point I pinched myself. Really, I did. Having a blue sky day puffy cloud day here for your Iceland wedding day is rare. Rare and incredibly awesome when it does happen, that’s for sure! We savored every second and every inch of the daylight we had. Once we had enough of waterfall hunting we moved on to black sand beach exploring! It was fun and full of so much LOVE! 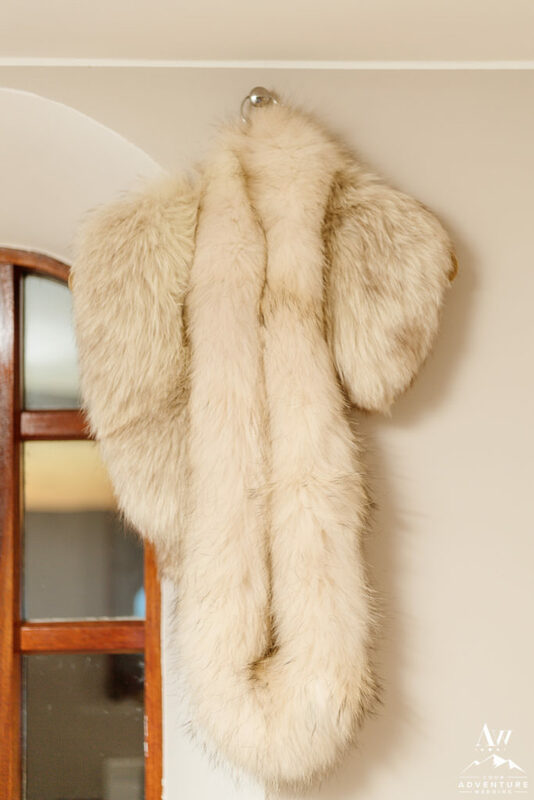 The last surprise Marlene had for Alan was having us style something super cute for their Iceland wedding reception! I love when clients upgrade to a romantic dinner for two! Since the day was full of so many awesome surprises between the two of them, we decided to surprise them with some sparklers for a Iceland wedding photo nighttime shot! 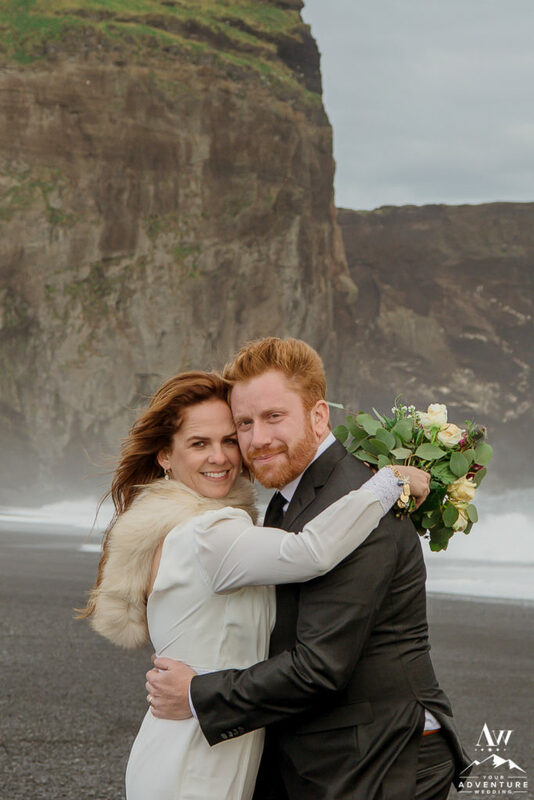 We hope this elopement in Iceland today has made you gush with envy! 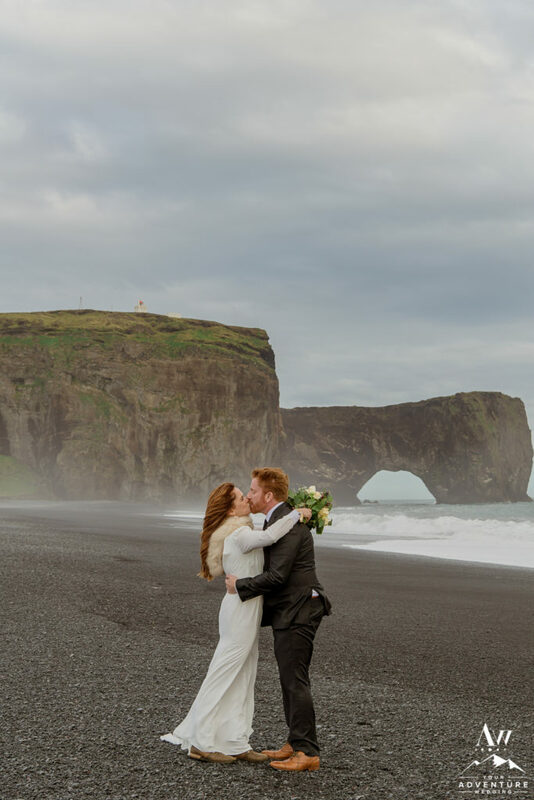 Feel free to contact us when you’re ready to start planning your epic Iceland wedding adventure!